However while I took hundreds upon hundreds of photos I wasn’t quite as forthcoming with taking family ones. It was one of those things where as we were all so busy taking everything in that we didn’t bother getting our mini tripod out to take photos of us all. However we did get a few photos, the one thing about being on holiday is that everyone is so keen to take photos for you. We had so many people offering to take photos of us all and we did accept a few times, but most of the time we said no. Still I am glad that we did manage to get a few of us together on such a special trip. It sounds cheesy but being together for the longest uninterrupted amount of time has changed me a little bit. 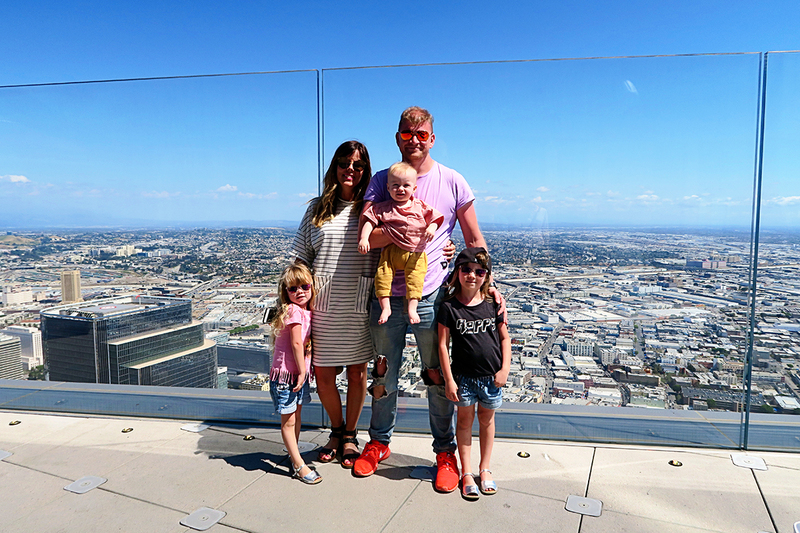 All three of our children changed and grew up a little bit on our trip, I think they really thrived on having our undivided attention. 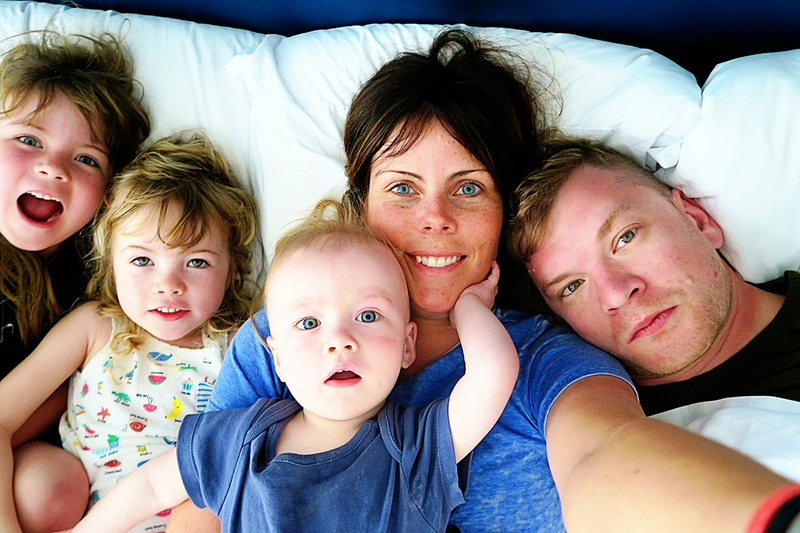 We ended up pretty much sleeping with both the girls every single night, it’s their favourite thing to come in our bed and as we were on holiday we decided to let them do it often. It was so special snuggling up with them, all of us intwined, relaxed and happy. I have so many memories which I will remember for such a long time. 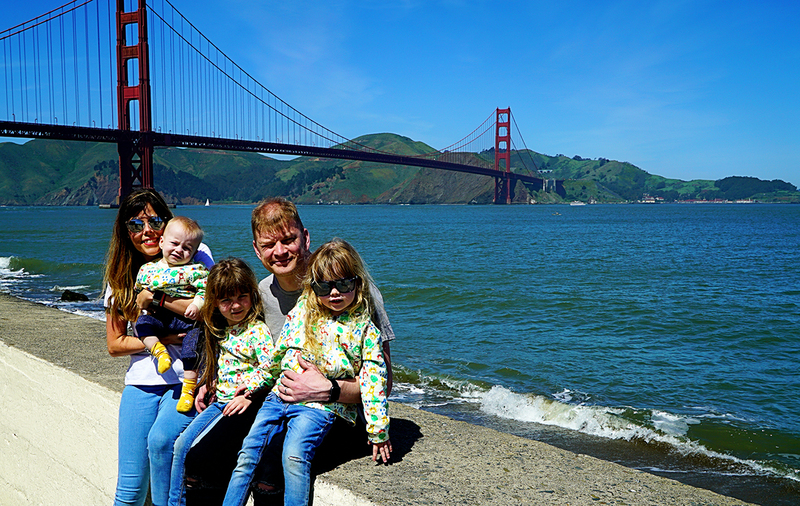 I had been wanting to go to the Golden Gate Bridge in San Francisco for such a long time and it certainly didn’t disappoint. On top of the Skyspace Tower in LA. Waking up with sleepy eyes in a bed in Monterey. 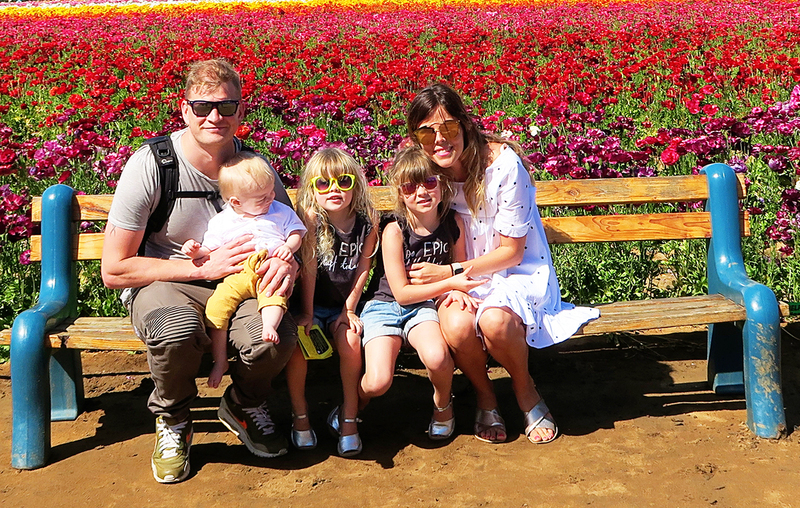 Chilling out in beautiful flower fields in Carlsberg near San Diego. Wow, what an amazing collection of photos! All the photos from your trip just look like you were having the best time. I did a similar road trip on my own back in 2010 and I would love to go back with my family one day too. 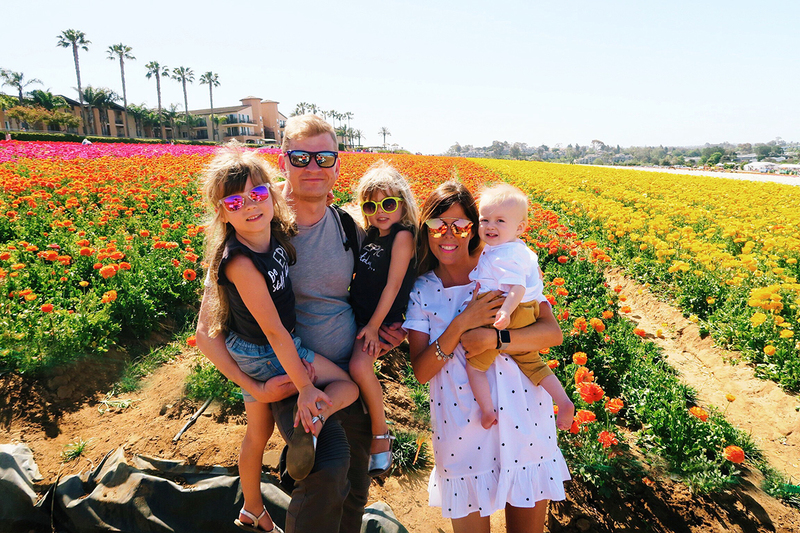 It does look like it was an amazing trip – you know I’m a huge fan of road trips so I’m glad it went well for you, and I totally agree that if the kids are ok in the car it gives them a bit of processing time which makes it all the more fun when you arrive somewhere new!